Click on Maxine Doyle to hear her singing on Radio KFWB. 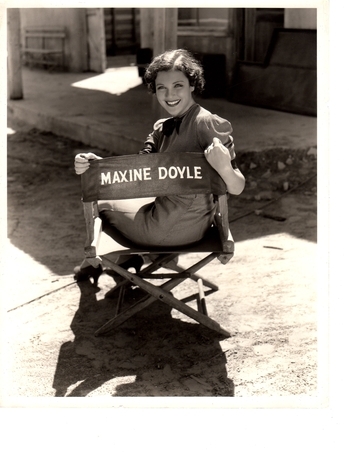 Maxine Doyle was an American film actress born on January 1, 1912. (Click on (See family stories) for more about the dispute regarding her age. )(Mother: Laura Miller, Father: John Joesph Doyle). She passed away on May 7th 1973 at the Motion Picture Hospital in Woodland Hills, California due to complications from throat cancer. 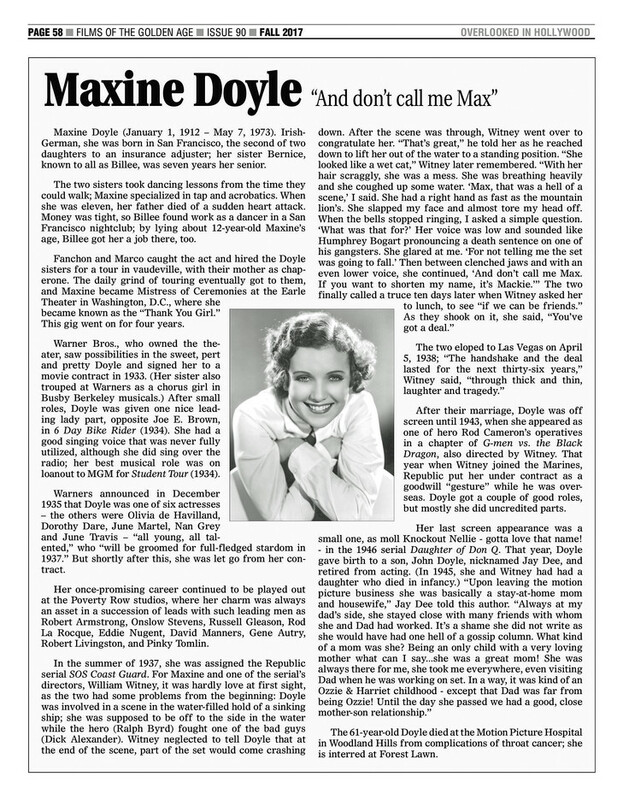 Maxine Ann Doyle was born in San Francisco, California. She went to work for Fanchon and Marco, producers of stage productions, when she was 12. She was discovered a year earlier while waiting for her sister (Bernice Doyle) who was working for them at the time. She became their lead singer and dancer and traveled all over America with one of their unit productions in the early 1930’s. Later on, she became Mistress of Ceremonies at the Earle Theater in Washington D. C. where she became known as the “Thank You Girl.” During her career she collected autographed photographs of all the acts who worked with her - Bob Hope, Burns and Allen, Jimmy Cagney, Schumann-Heink (opera singer) to name a few. She met Director William Witney on the set of “ SOS Coast Guard” in 1937, they were both only twenty one years old at the time. They were married in Las Vegas, Nevada on April 5th 1938. Maxine spent most of her remaining career in westerns, chiefly for Republic, with whom she was under contract from 1943 to 1944 - a gesture, it was said, to her husband who was serving in the Marine Corps during WWII. 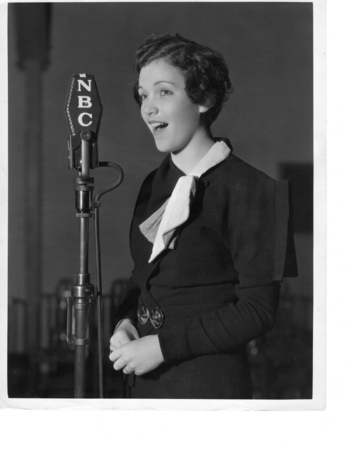 She offically retired from show business in 1946, just before the birth of her son, John Doyle (Jay Dee). 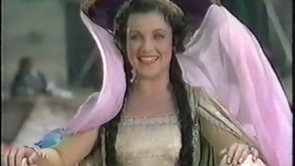 CLICK ON PHOTO To watch a short clip of Maxine Doyle as Queen Gwinevere in the 1934 production of 'Good Morning Eve'.